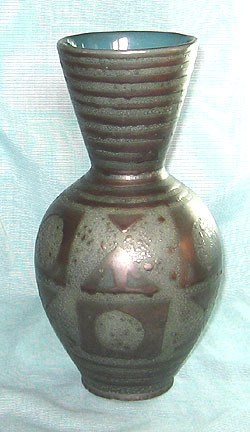 The form and decoration for this vase are from the Carstens Ankara line, but this one was made in Australia by Braemore Pottery under an agreement with Carstens. The teal background glaze is a distinctly different shade (more green) from those made by Carstens, but I'm not sure if this is true of all the Braemore Ankara items. 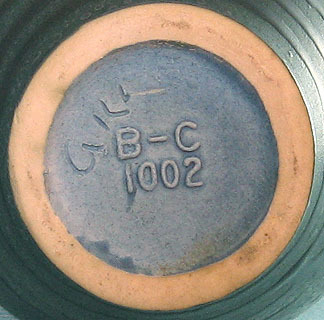 The initials are probably the artist who worked on this particular vase. Size: Height is about 9 3/4".